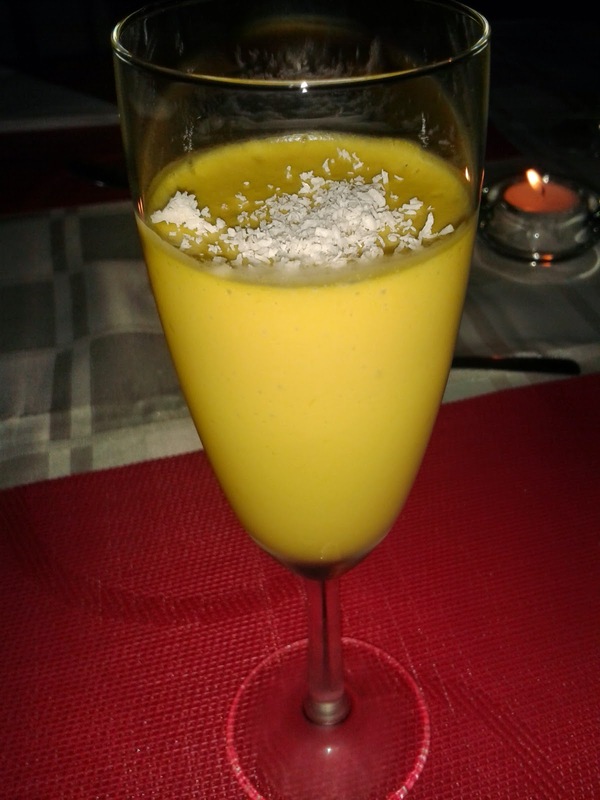 Here you go: Easy Homemade Mango mousse. I got this recipe from Pinterest (did I already mention that I love that thing!? haha) from one of my favorite Portuguese blogs. So, let's get to business. - Melt the gelatin with a bit of hot water and then add this to the mango mix. - Pour the mix in cups of your choice (I used champagne glasses) and leave to rest in the fridge, preferably over night. All I can say is that it was delicious, no sugar (so you don't need to feel guilty in case you're on a diet) and super easy to prepare. This was definitely a success over here! Ui, está maravilhoso!!! Eu tenho é um problema com as folhas de gelatina: nunca amolecem uniformemente!